While an inbound marketing campaign will not produce immediate results, it will continue to build upon itself as you produce more and more content. It’s a long-term commitment and will produce long-term success, if you stay the course. Let’s take a look at what you can expect after 30, 60, 90, 120, and 180 days in your campaign. Of course, each campaign is slightly different and each industry is unique which will affect the outcomes at each interval, but here is a good guideline of what you can expect at each milestone. The first thirty days is not the time when you’re looking for results, at least not in the form of leads, sales, and ROI. This time should be spent on developing the framework that will guide your inbound marketing campaign. If you are working with a marketing agency, the agency should be spending this first thirty days doing interviews with your staff and potentially customers and previous customers to get a better understanding of your business, your processes, and what your good fit (and bad fit) customers look like. These interviews will help in the development of buyer personas for your business. Whether you work with an agency or are managing your inbound marketing campaign in-house, the first month is extremely important. It needs to set up the next several months (if not longer). Interview transcripts of conversations with staff, customers, former customers, etc. Once you’ve finished the first month, you can move on to the execution pieces of the campaign. Now you’re ready to start actually running your inbound marketing campaign. Of course, at this point you’ll have only started running your campaign for about 30 days so you shouldn’t expect magic. This first month of execution should be focused on beginning to run the campaign that was outlined in the digital strategy document from the first month and it should be followed closely. Yes, we acknowledge that changes will be likely as your campaign grows, but this early in the campaign, you should be delivering on exactly what you had outlined previously. Ex: blog posts, on-page SEO change suggestions, email campaigns, high value content offers, calls-to-action, landing pages, etc. The ninety day mark is the first major milestone in an inbound marketing campaign. At this point you’ve developed a solid strategy and started executing against that strategy for at least two months. At this point you should also have two solid months of data to be analyzed. This is when you should begin looking at early successes and failures. Of course, you’re still very early in your campaign at this point, but we want to start understanding what is immediately resonating with your target market, what is producing engagement, where new leads are coming from, and even where they are falling off in your lead nurturing campaign. Major changes are not recommended at this point. You should be tweaking your campaign to focus on the tactics or strategies that have produced some immediate wins, but to completely change your approach or cut out tactics altogether at this point does not make sense. 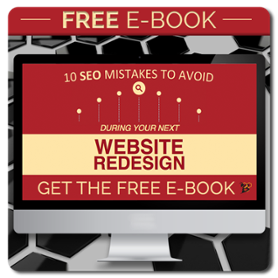 Ex: blog posts, on-page SEO changes, backlinks, email campaigns, high value content offers, calls-to-action, landing pages, etc. 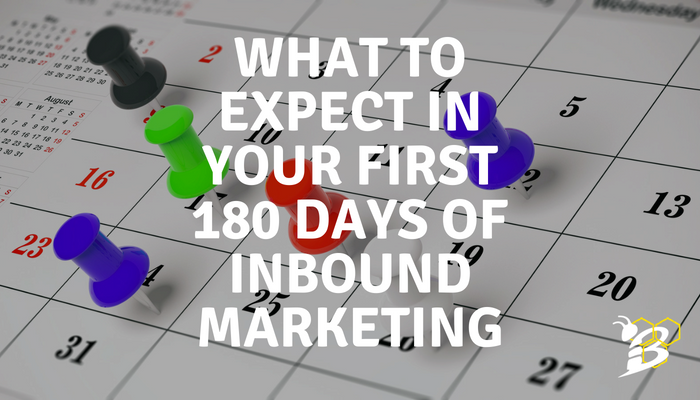 At 120 days into your inbound marketing campaign, you’re really starting to cook! Now your search engine optimization campaign should really start showing some upward movement. This is NOT to say you should be seeing page one rankings or gigantic spikes in organic website traffic just yet, but you should be seeing the results of your first three months of activity. Now that you have three solid months of content and data to review, you can really start understanding what is progressing as you’d like, what is underperforming, and decide where you should spend your time, effort, and money. Again, completely cutting out full tactics or going “all-in” on a single tactic is not recommended. As with the last few months, you should expect execution pieces of your campaign such as social media posts, blog posts, high value content, backlinks, and more, but you should also have a thorough account management and strategy meeting to understand what is working well, what is not working as well as expected and re-evaluate your campaign. 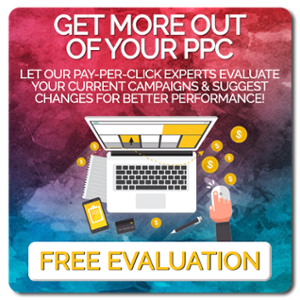 We recommend a re-evaluation of your campaign every 90 days (of execution). Doing so will likely not produce wholesale changes to your strategy, but it will help to reenforce original ideas and campaigns and/or produce new insights that weren’t expected from the start. After the first six months, you should have your first real gut-check for your inbound marketing campaign. What is working? What is not? Why are certain tactics or campaigns working better than others? There are plenty of questions to be asked and answered at this point, even if your campaign is producing better results than expected. You are now six months into your campaign and should have a lot of great data to understand, interpret, and use in your next three months. Decisions must be made based on data. That is absolutely vital to the success of your campaign. At 180 days, you should expect to have a longer strategy meeting with your agency or your internal marketing team to evaluate the entire last six months. It is also important to note that you should not only look at the first six months as a whole, but also the last three and last one month as well. Trends will start to develop and if you only focus on all of the data as a whole, you may miss data trends that have developed over the last quarter or month. Another thing to note as it relates to data is that seasonality may be skewing your data. Be conscious of the seasonality of your business and buying habits before making too many major changes. Also at 180 days, your team should look closely at and re-evaluate your buyer personas. Are they still accurate? What did you learn about your best customers through the first six months? What did you learn about your bad fit customers? These new developments should be used to adjust and refine who you are targeting and who to steer clear of. Which tactics or content have produced the most visits, leads, and customers? Start to place extra emphasis here. Which tactics or content have produced the fewest visits, leads, and customers? Start to reduce (but, not necessarily stop) resource allocation here. What do our new leads and customers look like? Do they match our buyer personas? If not, why not? Make any necessary adustments to current buyer personas and develop new personas if necessary. Is seasonality skewing our data? Which topics are producing the most visits and affecting our visitors? Consider blog posts, videos, high value content, social media content, email content, and website content. Can we identify any holes in our lead nurturing campaign? Are leads falling off at a certain point (Ex. stop opening emails)? What new ideas do we have that can be tested over the next three months? What major events do we have coming up that need to be prepared for? This may include holidays, sales, community events, upcoming PR, and more. The main points that I hope you take away from this post is that inbound marketing is a process. It takes time. It takes effort. And maybe most of all, it takes deep understanding and evaluation of data to make good decisions, good content, and to create a great strategy. That strategy starts in the very first month. That is why we nearly always create a GrowthPlan for each client in the first month. We need to layout the path that will start and guide our campaign. Don’t have a great campaign strategy or not really sure where to start? Have our experienced inbound marketing team develop a new GrowthPlan specifically for your business!